Naldo (l.) celebrates his equaliser against Bayern on Matchday 19. 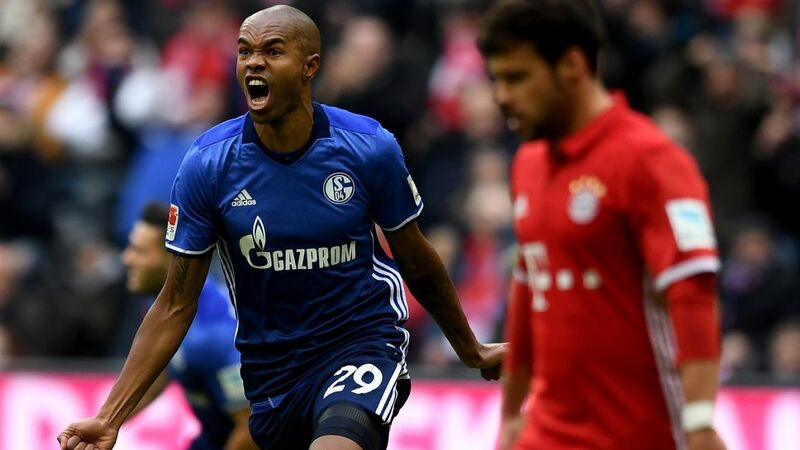 Naldo was up to his old tricks on Matchday 19, the FC Schalke 04 centre-back blasting a powerful free-kick past Manuel Neuer to equalise for his side in the 1-1 draw at FC Bayern München. Naldo earned 11 Official Fantasy Bundesliga points on Matchday 19 - sign him up by clicking here now! Not only did Naldo level the scores for Schalke, he then proved a rock at the back throughout the second half as the Royal Blues became only the third side this season to stop Bayern winning at the Allianz Arena. This type of display was exactly why Schalke swooped to sign the defender from VfL Wolfsburg last summer, but was it enough to earn your votes for the #BLMVP from Matchday 19? Vote Naldo for #BLMVP on our Twitter channel now! This was Naldo's first competitive goal since December 2015, and therefore his first goal for Schalke.The defender scored with his only shot on target.Naldo won 80 per cent of his challenges in Munich.